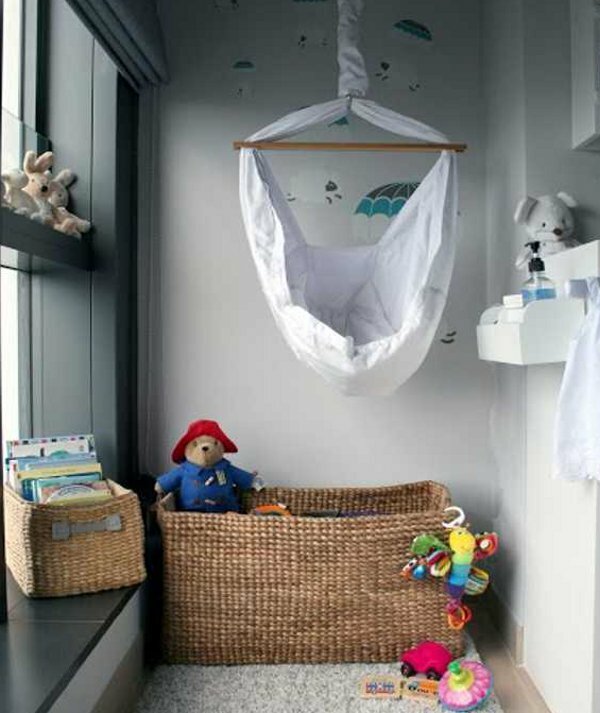 If you’re grappling with designing a nursery in a small space, this amazing child’s room will open your eyes. It’s an example of how ingenuity is key when dealing with limited space. And a breathtaking view doesn’t hurt either! 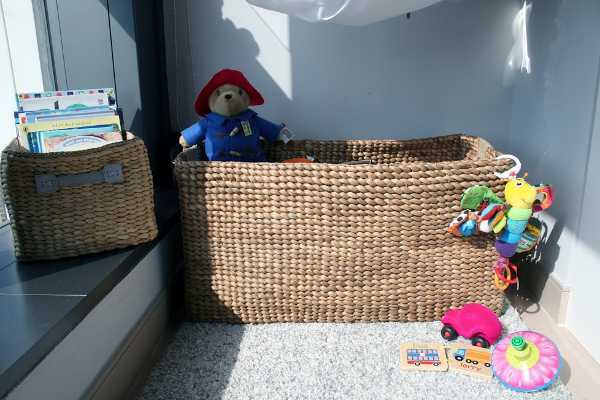 As we live in space-challenged Hong Kong our nursery really had to be functional and well considered with every nook and cranny planned. 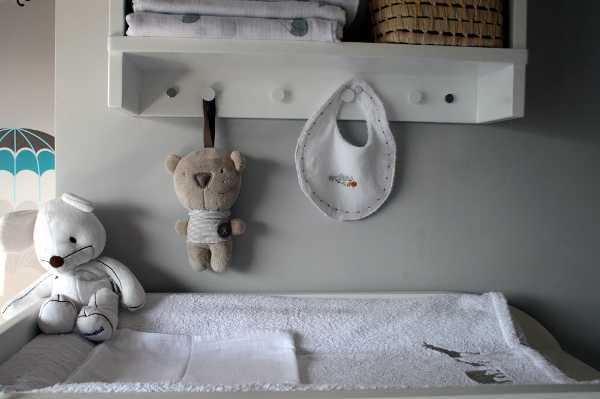 We started with a calming wall colour barley beige which could be applicable for both genders, and a Baby Miyo hammock which was an absolute must after a friend raved about how well her baby slept in hers. As the hammock is suspended from the ceiling I also choose a skydiving sheep wall decal so the hammock appears to be skydiving with the sheep. We were limited with where a change table could fit so I designed and custom made my own with three large drawers underneath where we store all of Erin’s clothes (we didn’t have space for a wardrobe). The change table is a very simple sleek design with an open shelving unit above where we store all her baby essentials such as muslins, swaddles and cotton wool, etcetera. 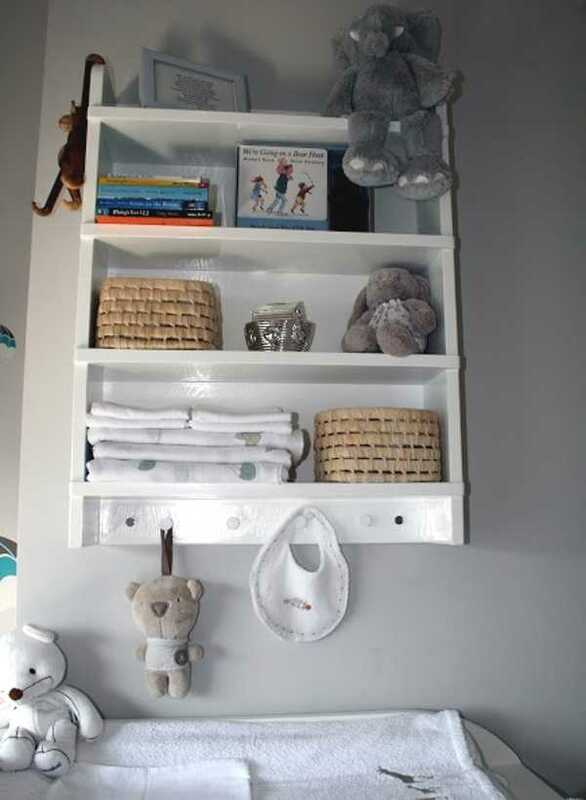 On the back of the door seemed the perfect space for a large canvas nappy hanging storage caddy which is easy reached from the changing table. The nursing chair was an absolute must as I seemed to spend many an hour sitting in it, its high arms and back proved very comfortable and supportive. I also kept a magazine rack on hand and a small iPod speaker system for listening to calming music. The shaggy rug has also doubled up as a great play mat space for her to lay with her toys. To top off the bedroom we have a very large floor to ceiling window which we can both stare out at the view of Hong Kong island for hours… perfect view to inspire a young mind. In total the nursery took me around six weeks of waddling around and sourcing things whilst heavily pregnant. 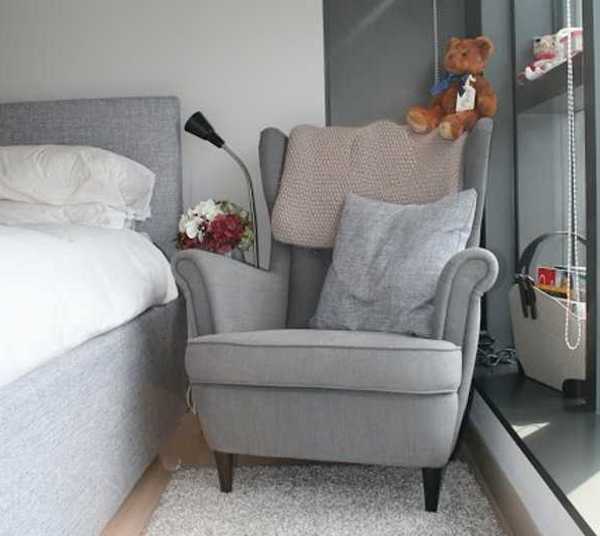 We agree that view is glorious, as is the nursery – a compact, yet beautiful space for a little girl.